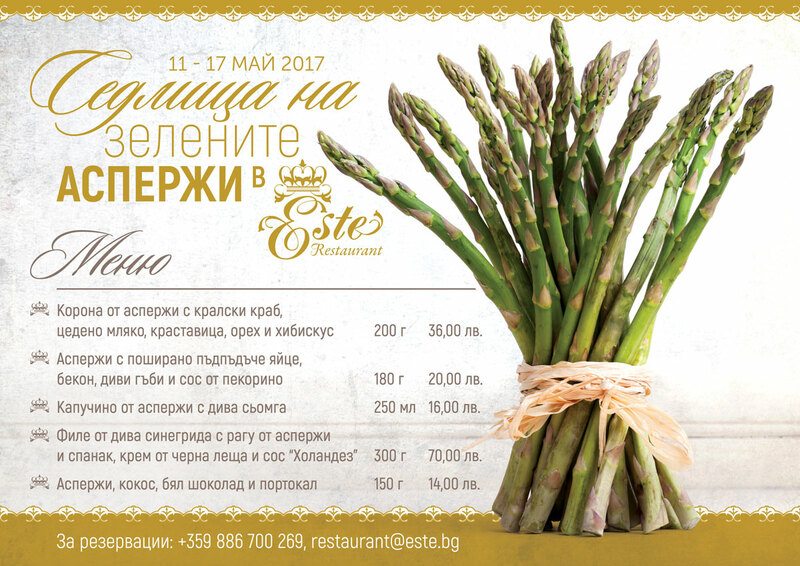 Taste of spring in our Green Asparagus Week! 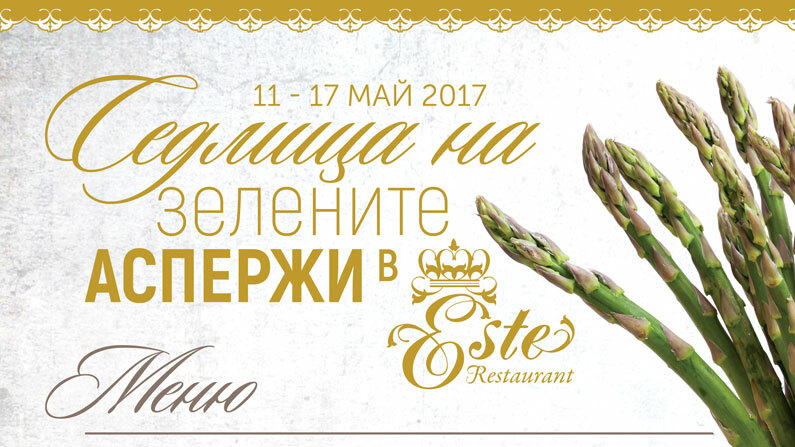 From May 11th to May 17th, in Este Restaurant we celebrate spring and its fresh and delicious food with a special menu with a yummy delicacy – the green asparagus. You are welcome to taste our chef’s culinary art!